A series of footprints found in May in P.E.I. 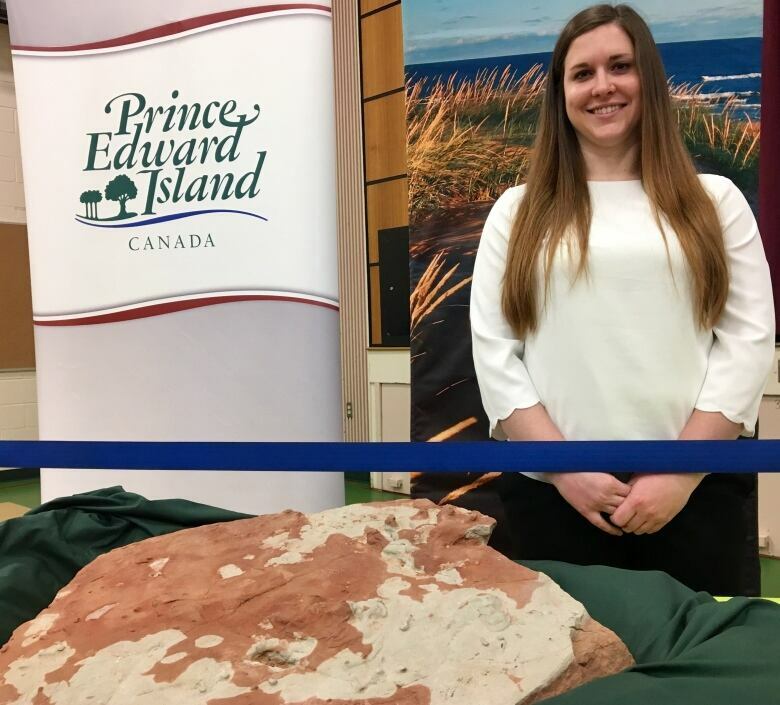 National Park near Cavendish have been confirmed as those of the sail-backed Bathygnathus borealis, a mammal-like reptile that lived 100 million years before dinosaurs. A series of footprints found in May in P.E.I. National Park near Cavendish have been confirmed as those of the sail-backed Bathygnathus borealis, more commonly known as dimetrodon. Laura MacNeil, who has a background in geology, discovered the footprints while searching for fossils in the area. "It was about the size of my hand and it almost looked like a human hand, but if the thumb were replaced with another digit," she said. "I looked at it for about a half an hour trying to convince myself that this wasn't a fossil because when you're in science, you try to be skeptical because … you don't want to just jump to conclusions." 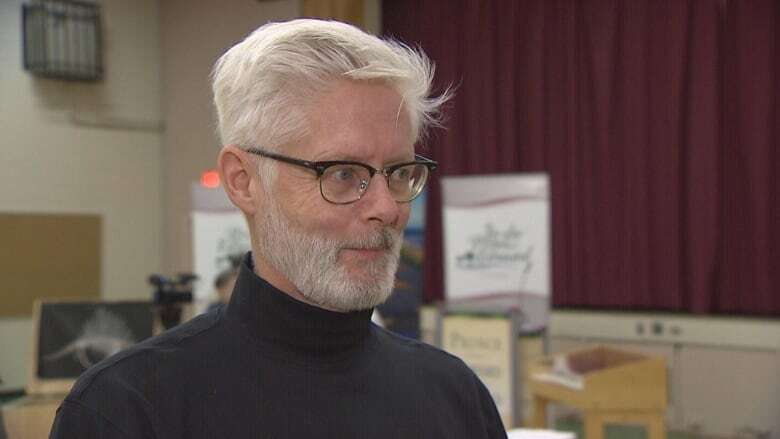 MacNeil said she ran back to her car to call the the province who then called Parks Canada and Dr. John Calder, a geologist at Saint Mary's University, to confirm what the discovery was. "My jaw was open for quite a long time. I couldn't believe it, honestly," she said. Calder said the footprints belonged to a dimetrodon, a mammal-like reptile that lived 100 million years before the dinosaurs. "It's the first example from P.E.I. of this type of footprint," he said. 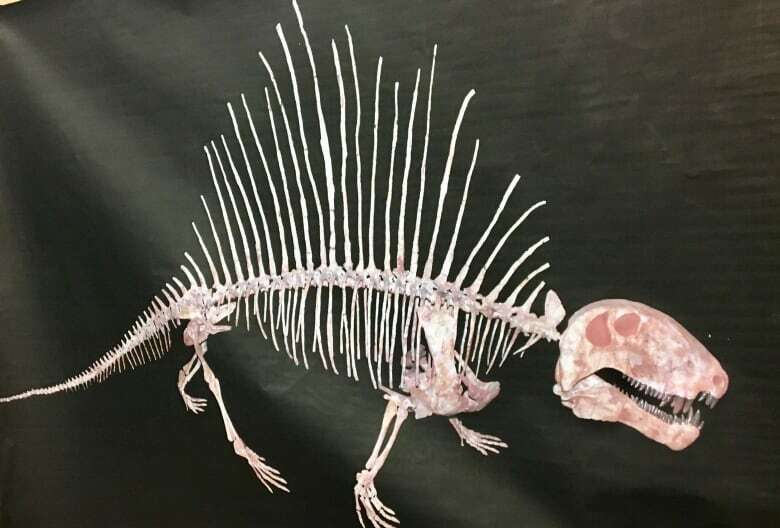 This isn't the first time a dimetrodon fossil has been found on P.E.I. In 1845, the upper jaw bone of a dimetrodon was discovered by a farmer during a well excavation in French River, near the Island's North Shore. Calder said the discovery of the footprint is especially significant. "The bones are of dead creatures, the footprints are of creatures that were living," he said. "When you see a fossil footprint, it's a living fossil and it shows this animal actually walked here, this is how it stepped, this is where it walked." Dimetrodons are huge, ancient reptiles that had giant spiny "sails" on their backs. They ate giant salamanders in the steamy, swampy forests of the early Permian period, around 290 million years ago. Although fossils are scattered in various places across the Island, Calder said these particular footprints are important as they indicate that P.E.I. holds some of Canada's richest evidence of terrestrial fossils of the Permian period. Their fossils have previously been found in Germany and the United States. MacNeil said the fossil will be studied by scientists and hopefully put on display at P.E.I. 's national park this summer. The P.E.I. government previously referred to the dimetrodon as a reptile-like mammal. In fact, it is a mammal-like reptile.